These luxurious, handcrafted fine art folio boxes are the perfect choice to bridge the gap between display art and albums. 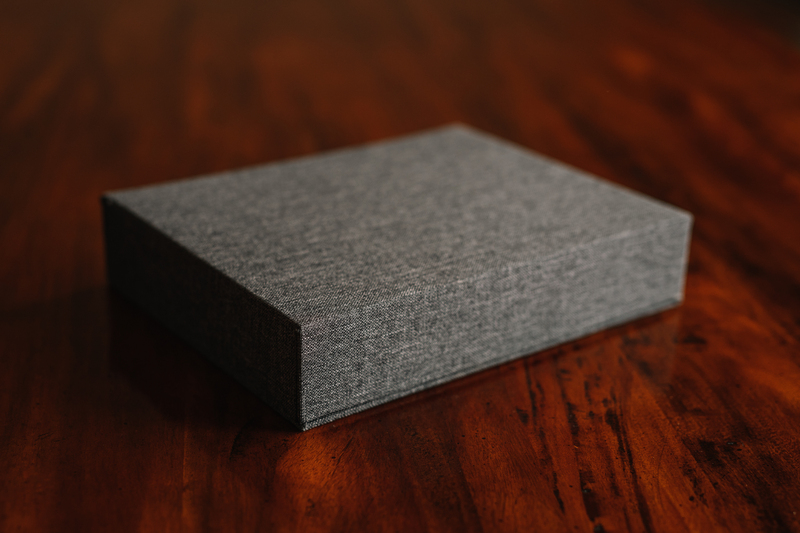 Designed with the highest quality materials, the luxury fine art folio box can last up to 200 years. These are by far, my most favourite product!!! 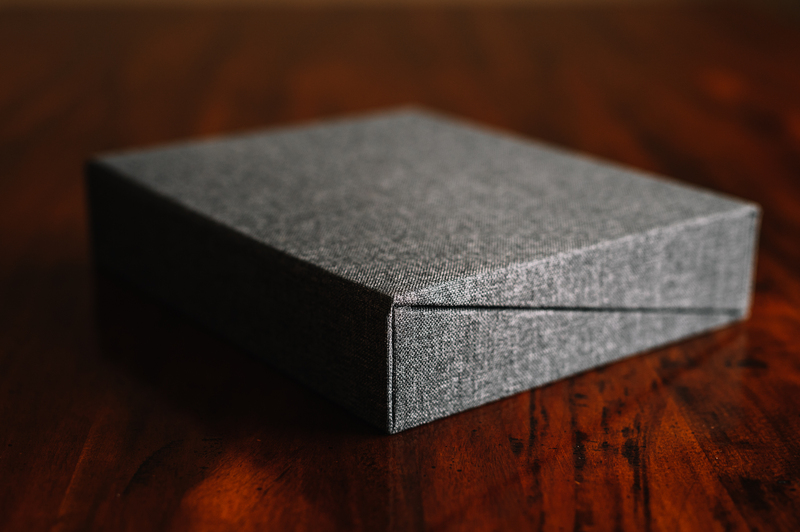 You can feel the quality of it with just the weight of the folio box itself. Not to mention the craftsmanship of the linen covers and silk ribbons. It is sturdy and presents only quality! I’ve sought out the best of the best of the best, and this is it friends. Luxurious linen cover options: charcoal, fog, linen, and indigo. Built-in silk ribbon to ease the retrieval of the matted prints without causing damage. The diagonal opening allows mats to be moved over and kept inside the box for neat and clean viewing. Soft white conservation quality mat boards are 100% rag and both lignum and acid-free. 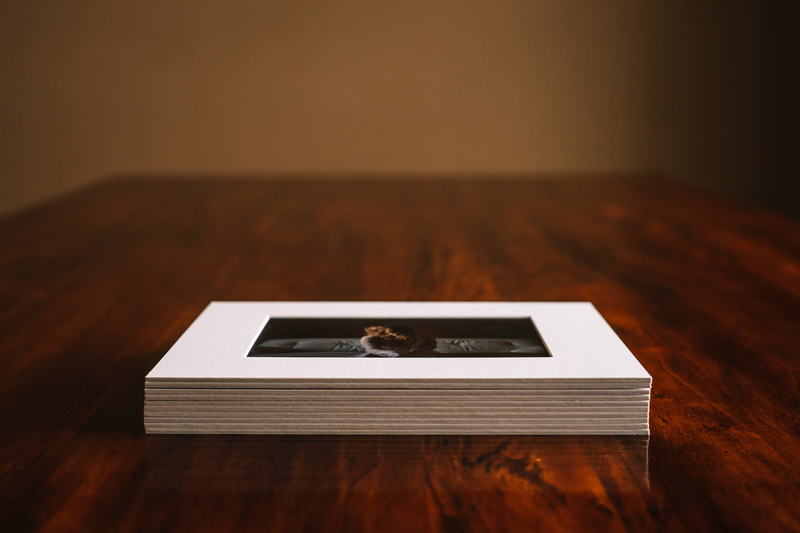 The quality mat board is a 4-ply top mat with a backing board, keeping the prints sturdy and immovable. Handcrafted, cruelty-free and environmentally friendly. Great for presenting your best moments from weddings, portraits or boudoir. A keepsake made to last for decades, maybe centuries if it’s well cared for! Archival quality prints are professional grade, offering silver halide printing on Kodak Professional Endura lustre paper. Completed with a lustre finish laminate to protect them from fingerprints, light, air or other damaging elements. Increased colour gamut for stronger, brighter and more vibrant colours. Natural-looking skin tones, cleaner-looking whites, and richer-looking blacks. Over 100 years before noticeable fading in typical home display; over 200 years before noticeable fading in dark storage. 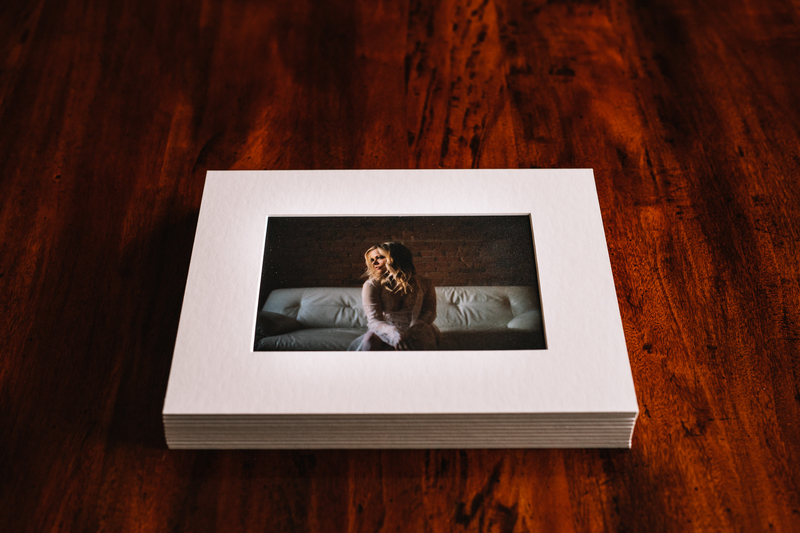 The matted prints can be framed at any time, they don’t always have to stay in the folio box!